Imagine the soft wafting scent of decadent coffee floating through the air to grace guests at your birthday, wedding reception, corporate function, or family reunion with its elegant and mouth-watering aroma. 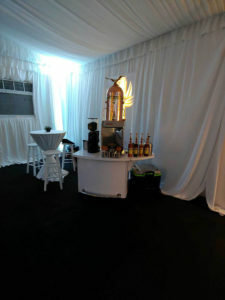 Our cappuccinos, lattes, and caffe’ mochas intoxicate the senses with divine flavors, and our Baristas are sociable professionals that know how to deliver speedy quality at those high demand events. 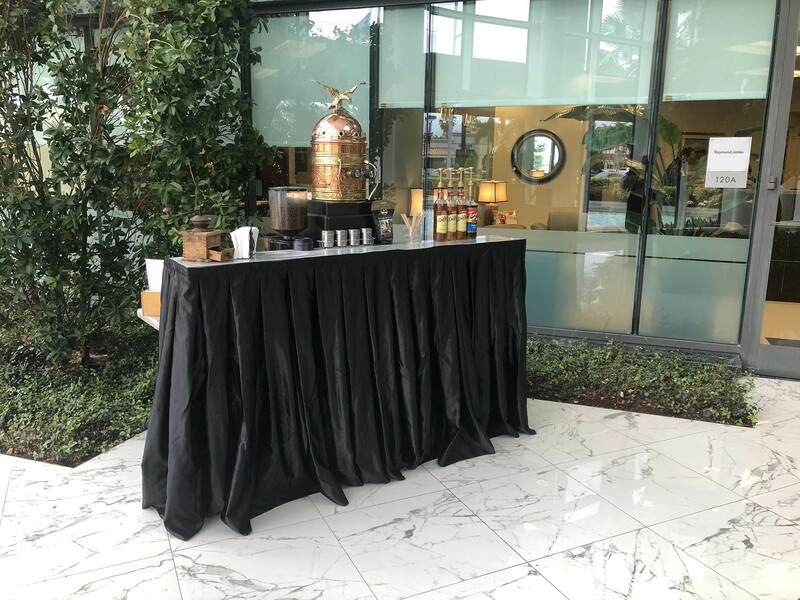 Cappuccino Express is the perfect complement to any occasion and through catering and specialty coffee services, we’ve brought coffee-induced glee to many a celebration since 1997. As the in-house caterer to several local upscale department stores, like Bloomingdale’s & Saks Fifth Avenue, we’ve the classy crew to cater to you. 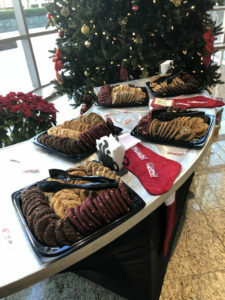 We also join services with other catering companies on a regular basis to bring special celebrations every party treat their guests could fathom. 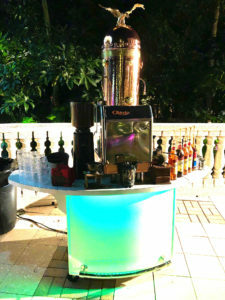 We specialize in frozen beverages and steamy confections to supply your party with nonstop palate-pleasing creations. 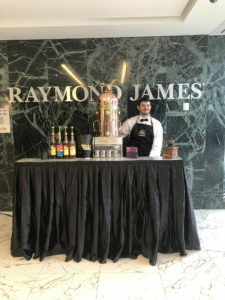 Catered events are looking to specialty coffee & espresso bars with increasing frequency to please guests, family, and friends around the clock. 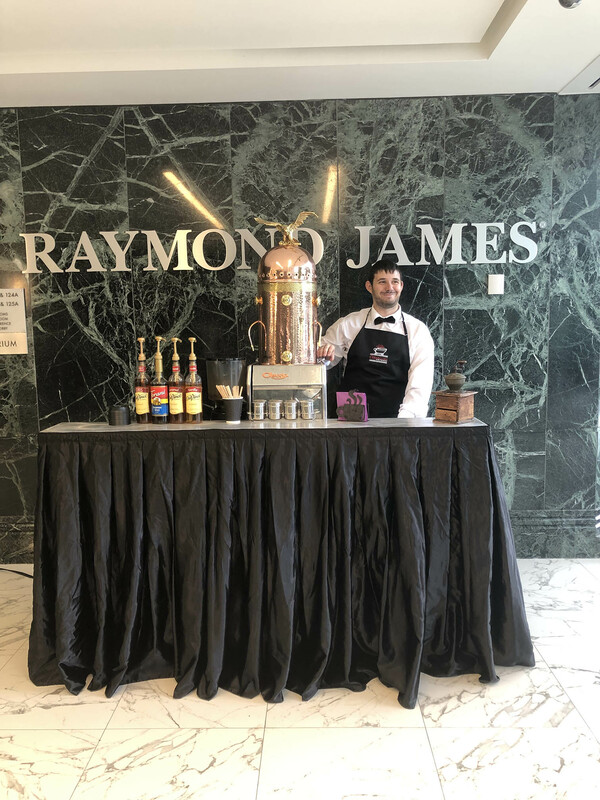 We only serve the highest quality beverages and our first rate service stems from well-trained and friendly Baristas that are eager to please with courteous service and a special, personal touch. Whether your celebration requires minimal options and flavors, or an all-out, full service coffee and smoothie cart, we’ll fit any function to ensure a memorable event at a budget-friendly price.